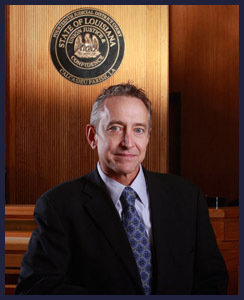 Edward K. Bauman is a member of the American Bar Association, the Louisiana State Bar Association and the Southwest Louisiana Bar Association. A resident of Lake Charles, Louisiana, Mr. Bauman takes pride in his community. He is a former VISTA (Volunteers in Service to America) volunteer and counselor with Big Brothers/Big Sisters of Acadiana and Southwest Louisiana. He is a Master Mason, a member of Masonic Lodge 165, and a Shriner with the Habibi Temple in Lake Charles. He is also a proud sponsor of USSSA Baseball. A former law clerk with the Third Circuit Court of Appeal in Lake Charles, Mr. Bauman has argued cases before the Third Circuit Court of Appeal and the Louisiana Supreme Court. He has over a decade of legal experience. Let him use that experience to help you.